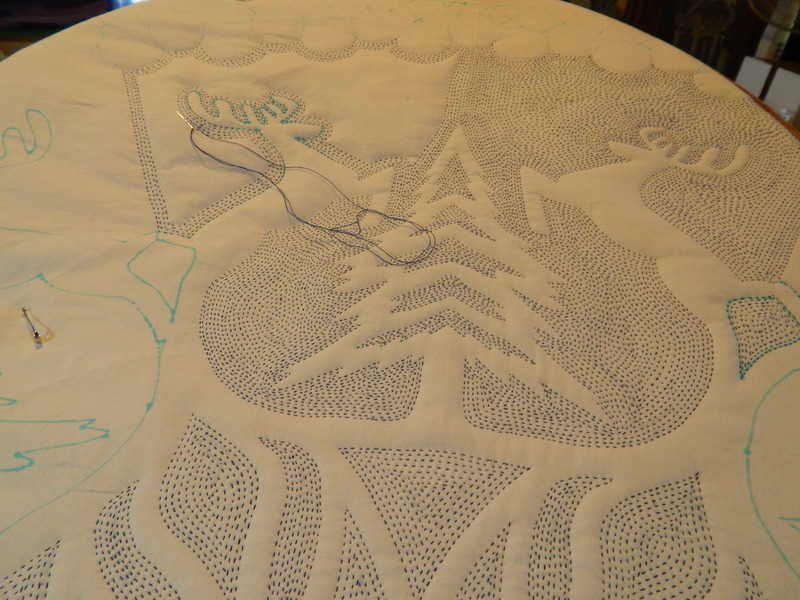 I have made some progress hand quilting the deer snowflake quilt. lots more stitching to go!! It rained pretty hard yesterday and a lot of the garden got a bit flattened but the sun is out and there is still a lot of color so I took some pictures. I carefully avoided taking pictures that show the weeds! ….I have to get out there and do some work!! This entry was posted in Garden, Quilts and tagged Garden, Garden flowers, hand quilting, whole cloth quilt. 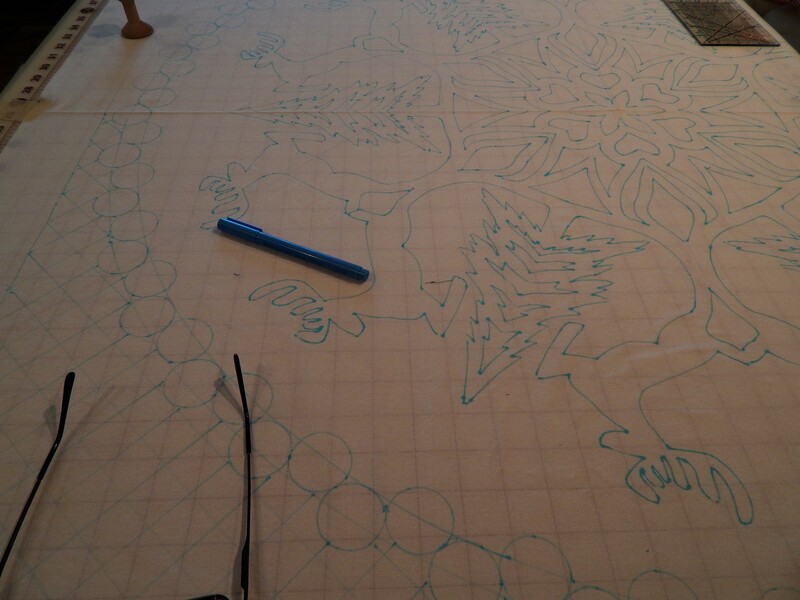 I can’t wait to see the entire quilt when you are finished. Garden is still looking good. Enjoyed seeing your whole cloth quilts “in person” today at the Grand Rapids Quilt Show, Tim! They look even better there than in photos. 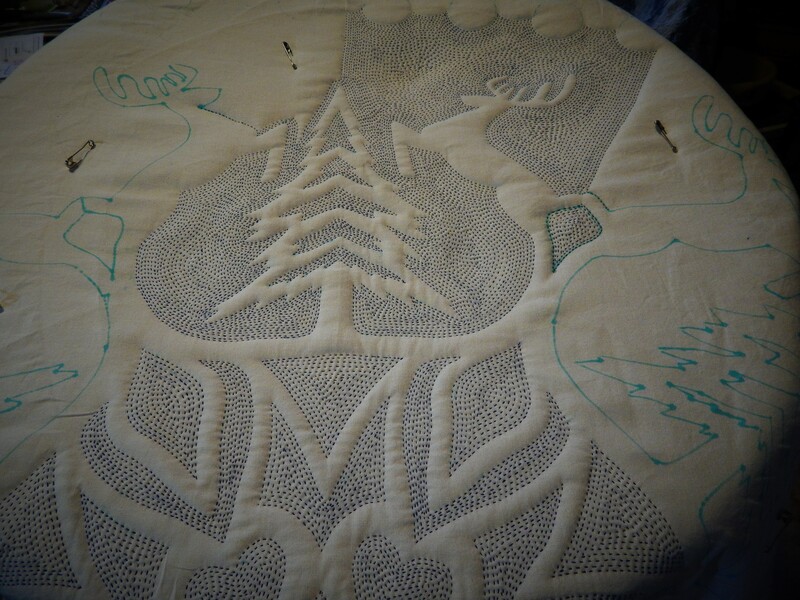 Your Deer Quilt is incredible! Just like your garden — do you not have any bunnies eating everything? 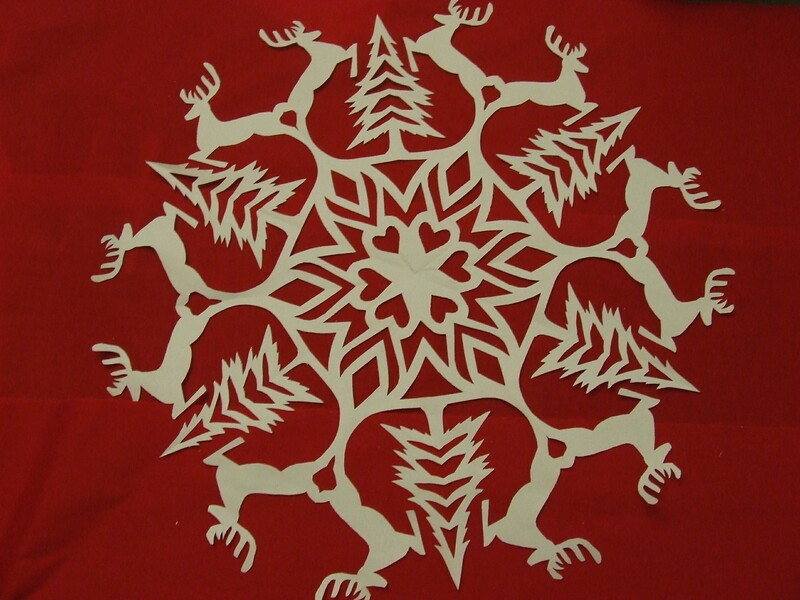 Your snowflake is coming more alive! The flowers are so lovely,Enjoyed the walk though them!! 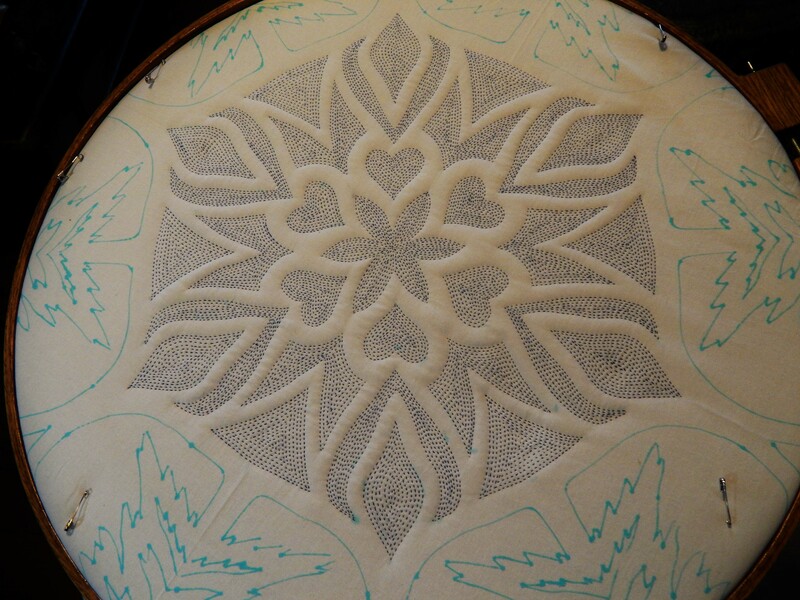 Dein Quilting ist so fantastisch. Ich bewundere Deine Geduld und Ausdauer. 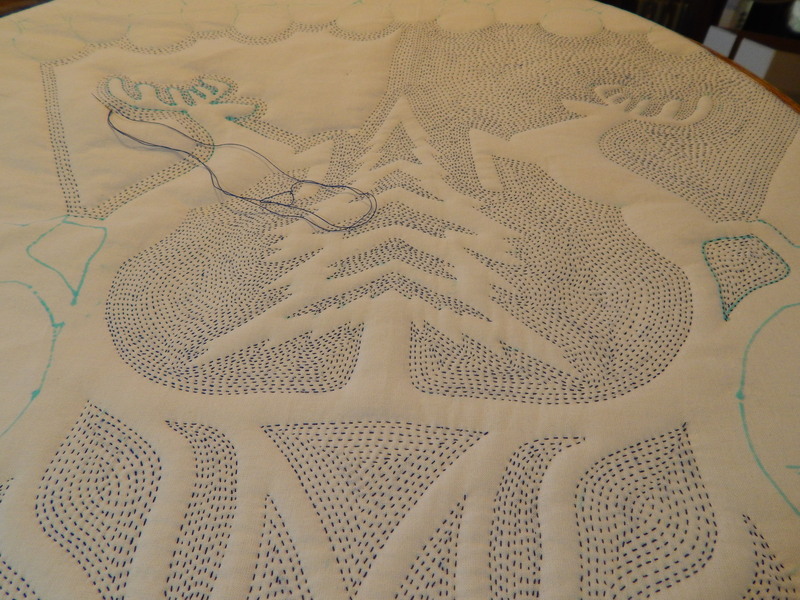 I love how those deer just pop out with the elevation created by the quilting. So beautiful. And your garden makes me jealous! I visited your quilts at AQS this week. Wow. I am totally in love with the whole-cloth. A couple of lovely ladies were looking at it when I got to it. I commented “not only is it beautiful from a distance, but look at that wonderful quilting. It’s completely hand quilted.” Well, it turns out they are from the Lansing guild you did your presentation to. We all agreed you are a sweetie AND so very talented. And we are amazed at the amount of work you get done!!! Thank you for sharing all you do! Quilting and gardening. I man after my own heart!!!!! A gardener and a quilter!!! My two loves in the whole world. I have a golden retriever that is the boss of my household. I LOVE your flowers they are beautiful. Your red tiger lily is like mine…..did you get it from Old House Gardens?